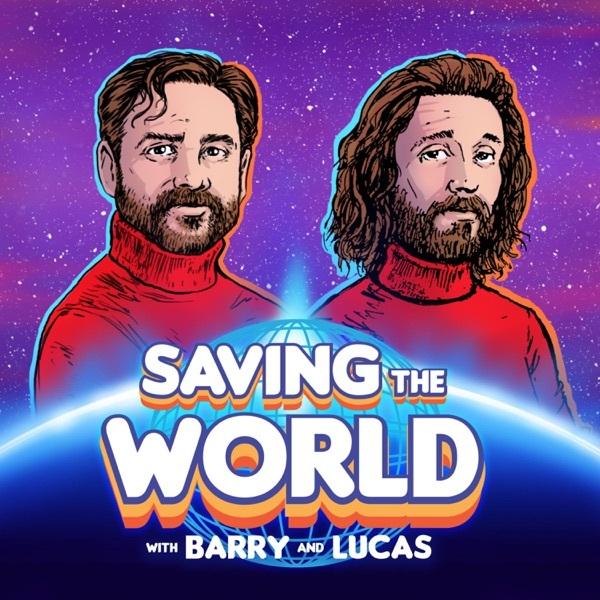 Saving the World with Barry & Lucas | Listen Free on Castbox. Barry and Lucas want to make you feel better about the world, by smoking some weed and having a free-flowing conversation with interesting people who want to save us. It’s NPR on weed. What song is used for the intro and outro? Barry and Lucas this is the first time I've listened to your podcast. Very much enjoyed it. When you are talking about the homeless or unsheltered in the last few minutes of the program you are opening yourselves up to a very accurate criticism. People who own property are not necessarily wealthy. Airbnb offers an opportunity to make enough money to maintain ownership of a property. I don't own property and therefore have no rentals but I am a contractor so I have some knowledge of the industry. To affect change would require collective tax money. Or at least careful and targeted regulation.